Hospitals, chaplains and therapists will find this low-cost booklet invaluable. 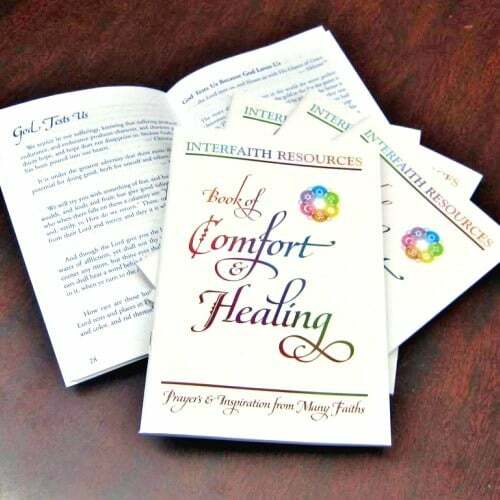 Only $1.50 each in packs of 40, the Book of Comfort and Healing contains a well-chosen selection of prayers and quotations drawn from the wisdom of ten different faith traditions to address a wide range of needs and concerns. If you work with people from a wide range of backgrounds who are struggling with difficulties related to physical or mental health, then you will find this booklet incredibly helpful. It is 4.75×7″ and 64 pages long with a full-color cover and dark blue text. This is the GIVE-AWAY edition of this popular booklet. For the fancier GIFT EDITIONclick here. 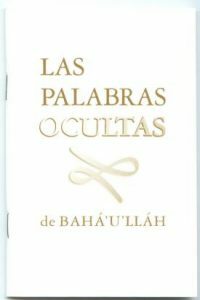 These beautiful booklets were designed to be given away in hospital chapels and waiting rooms, but I am sure that Baha’is will find a myriad ways to use them in their teaching work. 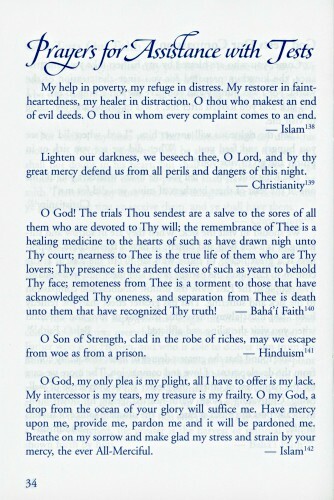 They contain over 200 short prayers and quotations from ten different religions, with an emphasis on the six major world religions, including Baha’i. 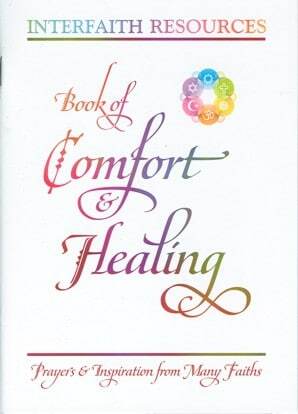 Topics center around healing, but include sections on God’s love, protection, and forgiveness, the purpose of tests, different aspects of health and healing, and the soul and afterlife. It ends with an extensive selection of prayers for serenity. There is enough here to fill ten devotional programs. Baha’is will want to offer a stack to every hospital, doctor’s office, health clinic, nursing home, hospice, mental health center, and health-food store in your area. 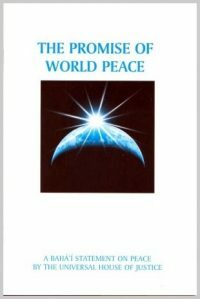 Anyone who reads it will be comforted, and will also be impressed by the beauty and power of the many Bahá’í quotations included. Once health-care practitioners see how helpful they are in comforting an increasingly diverse patient population, they will want to buy a case for themselves. Interfaith Resources is a division of Special Ideas. This booklet was compiled by Justice St Rain and Lynnea Yancy, and reflects the high-quality and attention to detail that you’ve come to expect from Special Ideas.